• There are 142 rooms and suites. • Patrick Guilbaud restaurant serves gourmet fine cuisine with a French affluence overlooking the grounds and The Cellar restaurant serves an Irish cuisine. • No 23 serves stylish and creative cocktails. There are a terrace,grounds, a sun deck, a sauna, a fitness center, a massage, an indoor pool (all year) and a bicycle rental. 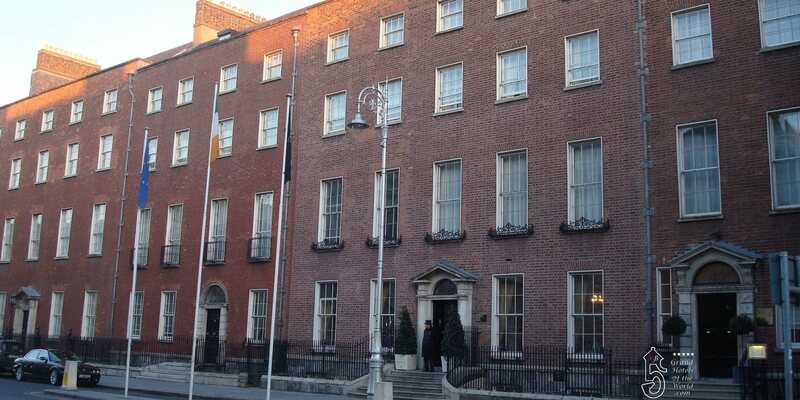 • The Merrion Hotel is located in the heart of Dublin. • 1760s: Construcion of the different houses by Lord Charles Stanley Monck.